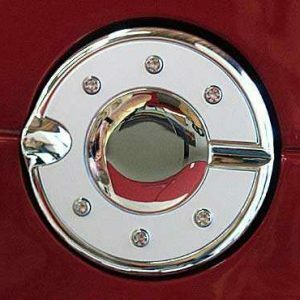 Open up your PT Cruiser’s performance potential with a set of Screamin’ Demon coils from Performance Distributors! These improved aftermarket coils are designed to produce an exceptional spark throughout the entire rpm range with virtually no drop in power. Stock coils are notorious for falling off as rpm increases. The Screamin’ Demon coil has been dyno-tested, providing an additional 3 hp at 5000 rpm than stock coils. 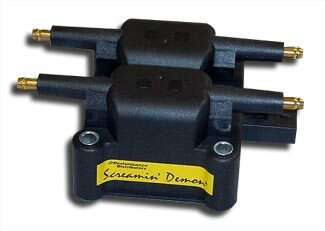 The Screamin’ Demon features a brass terminal, which is more conductive and resists corrosion longer than a stock aluminum terminal. 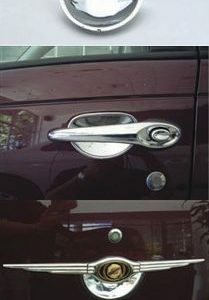 The plug gaps can be widened to 0.060″ due to the energy of this coil. The wider spark plug gap will allow more spark energy into the combustion chambers, providing more power and improved mileage. 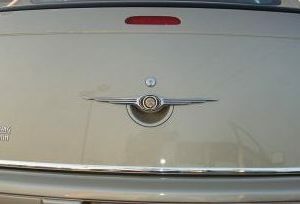 Replace your stock coils with Screamin’ Demon coils and see the life spark into your PT Cruiser! Note: Because the Screamin’ Demon is too “hot” for stock plug wires, high-performance wires are highly recommended. Please see the suggested plug wires recommended.